Join Stampin' Up! - shop wholesale ! Pick up some great SAVINGS on Stampin' Up! Products for only 2 more days! Stampin' Up! Extravaganza 2 More Days to Save up to 60% !! THINK CHRISTMAS GIFTS FOR YOU !!!!!!! I can ship ANYWHERE in Canada at no extra charge!! You'll find discounts on over 50 items--up to 60% off! 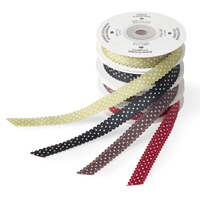 The Ribbon Bundle contains four packages of 1/2" Scallop Dots Ribbon in Basic Black, Cherry Cobbler, Chocolate Chip, and Old Olive. This adorable grosgrain ribbon with printed white polka dots on one side and scallop edges with pinholes can be used to dress up any project in style! Ribbon is approximately 1/2" wide; each package of ribbon contains approximately 10 yards. This exclusive bundle -30 % off- only till November 30! The Glimmer Brads Bundle contains three Glimmer Brad assortments-Basics, Brights, and Subtle-all for 30% off the retail price! To think...this is just a few of the items for Sale until November 30th, 2011 !! Orders going in several times a day. Can ship Stampin' Up! products ANYWHERE in Canada! Other top SELLERS - Many Merry Messages (50% OFF) , On Your Birthday - 50% OFF and more... CLICK HERE TO SEE EVERYTHING!!! Contact me today to place your order - Yes you can combine regular orders with the sale items! I will attach the PDF HERE with ALL the sale items to this email ! Extravaganza Sale - Up to 60% OFF Stampin' Up! Ship anywhere in Canada!!! 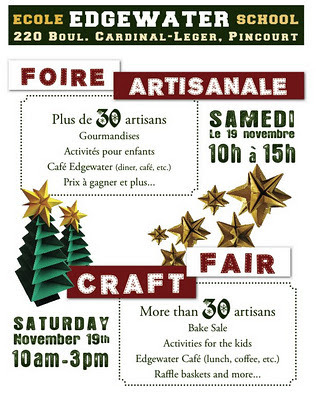 Until Nov 30th, 2011 Stampin' Up! SALE in Canada! There are MANY MANY more items for sale up to 60% off! I am simply highlighting some of my favourite here! ENJOY the savings!! Orders can be combined with other Stampin' Up! Products!! I can ship ANYWHERE IN CANADA! Think Christmas Gifts!! 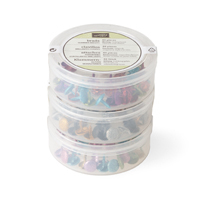 Extravaganza Ribbon Bundle contains four packages of 1/2" Scallop Dots Ribbon in Basic Black, Cherry Cobbler, Chocolate Chip, and Old Olive. This adorable grosgrain ribbon with printed white polka dots on one side and scallop edges with pinholes can be used to dress up any project in style! This exclusive Ribbon Bundle—30 percent off the retail price—is only available until November 30! Item 129035 on Sale for $30.66 ! There are so many ways to share the joy of the Christmas season. These wonderful greetings offer a variety of options to say happy holidays. Use them to make fresh Christmas cards year after year. Send your love this Christmas season with the Winter Post stamp set. Mix the vintage and modern images in this set for post cards, scrapbook pages, or handmade cards with a unique twist. This set—in addition to being the first stamp set in Shelli’s Signature Collection line. ALSO AVAILABLE IN FRENCH!!! Courrier D'hiver Stamp Set at 50% OFF!! This set is a must-have simply for how easy it makes creating accents and focal pieces for your projects. 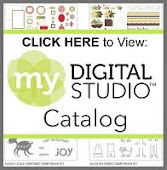 Each image coordinates with a different punch, making stamped creations easy as 1-2-3—stamp, punch, adhere. And with a variety of sentiments, you’ll use again and again. Classic Stampin’ Spots are 1" x 1" square ink pads that come in our Getting Started collection colors (does not include Whisper White). Occasions Alphabet -50% off. Take the time to click and read - this is a FANTASTIC Set to own!! Z is for "zip" and that's just what the Occasions Alphabet Set has! Images in this set offer double the fun-alphabet letters and a cute sentiment. Double-mounted to save you space. Available in both wood- and clear-mount. Contact me today! Sale items CAN be combined with all other orders. To view the ENTIRE SALE - CLICK HERE. You will be brought to the Stampin' Up! website. Email me or call me with your orders! 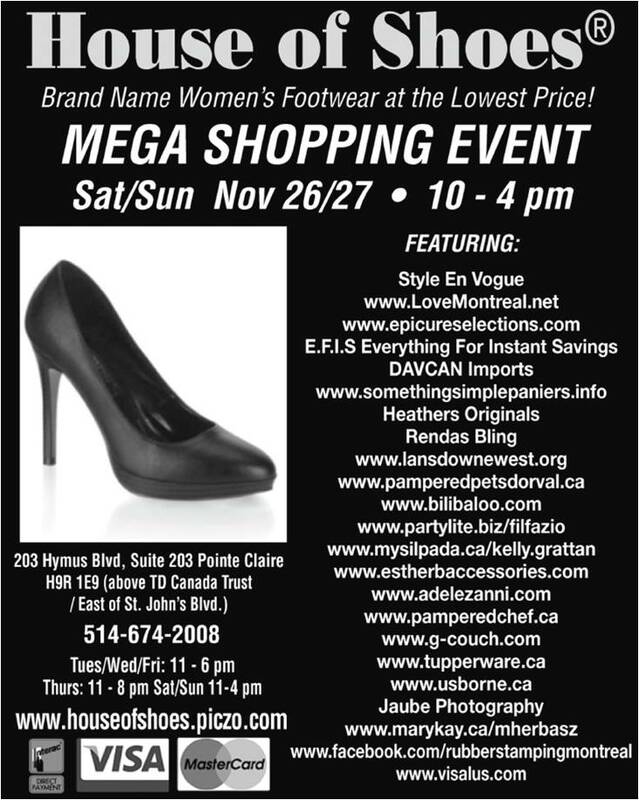 Mega Shopping Event at the House of Shoes - Draw for a FREE Stampin' Up! Class for 4 ! from 10-4 pm at the MEGA Shopping Event! in the Zellers Mall (Hymus at St. Jean) in Pointe Claire!! I will be selling dozens of new and used stamp sets and a large variety of handstamped cards and gifts! a FREE Stampin' Up! Class for you and 3 Friends! A gift valued at $100 !! See you Saturday & Sunday! My table will be in the Lansdowne Tutoring Offices! 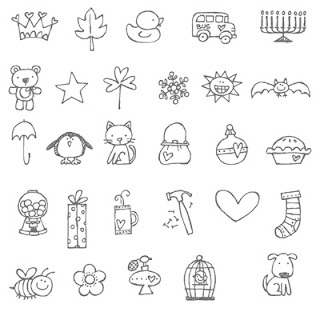 Free Draw for a Stampin' Up! Class for 4 (valued at $100) !! SATURDAY! 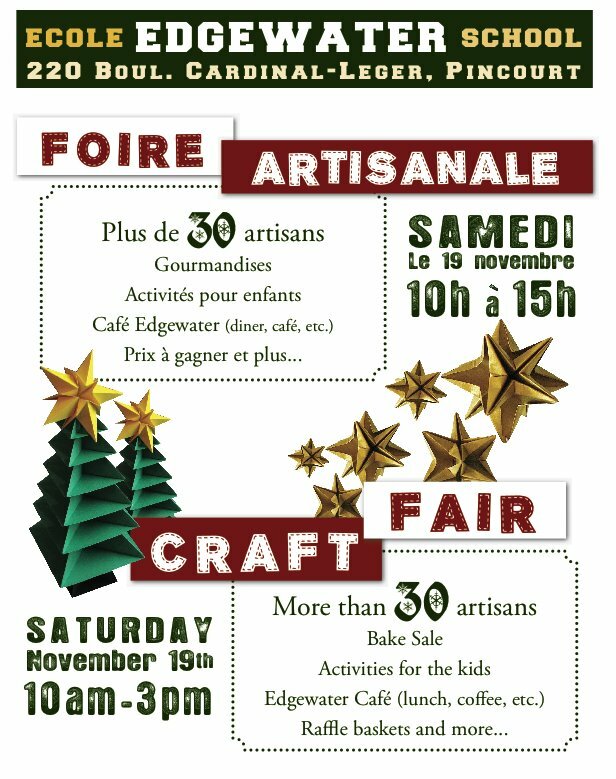 Come visit my craft table THIS SATURDAY from 10-3pm at Edgewater Elementary School in Pincourt ! I will be selling a large variety of handstamped cards and gifts! Stampin' Up! Hostess Promotion Nov 1 - Dec 15 !! Book your party today! 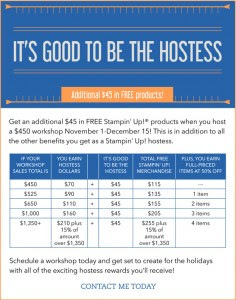 Get an additional $45 in FREE Stampin' Up! products when you host a $450 workshop November 1-December 15! This is in addition to all the other benefits you get as a Stampin' Up! hostess! Just take a peek at how much more you can earn !!! Schedule a workshop today and get set to create for the holidays with all of the exciting hostess rewards you'll receive! Contact me today to schedule your holiday workshop! Hi there! I have been a Stampin' Up! Demonstrator since 2004! When I am not creating, teaching classes or having stamping parties, I am a proud wife and mother to two amazing children (ages 14 & 12) - both with Autism and my son also has a hearing impairment. Feel free to contact me to learn more about card making, invitations, 3D items or scrapbooking jenniferdimarco@ymail.com I can ship custom orders worldwide and Stampin' Up! product orders anywhere across Canada at no extra charge. I earned the 2015 Newport Beach, California Trip! I earned the 2014 Getaway Vacation! - THANK YOU! I earned the 2013 Grand Vacation - THANK YOU! 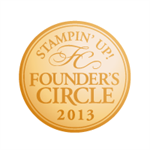 I earned Founder's Circle 2013 - THANK YOU! I earned the 2012 Getaway Vacation - THANK YOU! Subscribe to my Updates via Email ! Per Stampin' Up! , this message needs to be on my blog: This content is my sole responsibility as an Independent Stampin' Up! demonstrator and the use of and content of the classes, services, or products offered here is not endorsed by Stampin' Up! My Visitors - Thanks for Coming! Rubber Stamping Montreal - Jennifer DiMarco -. Awesome Inc. theme. Powered by Blogger.